By reading the Phases, we deepen our insights as readers and find new connections to offer our seekers. The Eight Phases of Transformation provide considerable depth for the reader and insight for the seeker. In this video, I outline the Eight Phases of Transformation and noteworthy cards in each phase. I then use an Element Balancing Spread to show how to read the Phases of Transformation, in addition to the elements, meanings and symbols of each card. 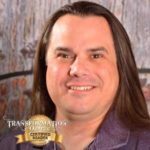 I explain how the elements relate to body, mind, heart, and spirit and how the Phases of Transformation relate to each of these aspects. Check out Jason’s reading style in a Chakra Spread.